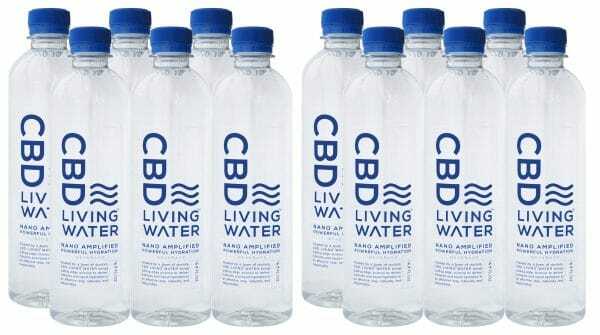 Looking for lower cost for CBD Living Water 12 Packs? Try our Free Membership offer and start your day for the next couple weeks with an alkaline-balanced bottle of 9.0+ pH nano CBD water containing a full “Medical dose” of CBD, and see how quickly it works on chronic pain, relief of anxiety symptoms and stress any time you feel the need. Recently the company doubled the amount of CBD in each bottle to 50 milligrams! Nothing compares!! CBD Living Water is the leader in nano CBD products and their water is the most effective way of delivering cannabidiol to the cells of your body. Nanotechnology provides an amplifying effect to the CBD’s potency and provides 100% Bio-availability and optimal bioactivity. CBD Living Water is also fortified with d-Ribose, Vitamin B-12 and CoQ10 within a 7.4pH neutrally balanced water that is slightly alkaline for better hydration. No other water can literally change your life experience, stress, anxiety, and chronic pain like this will.